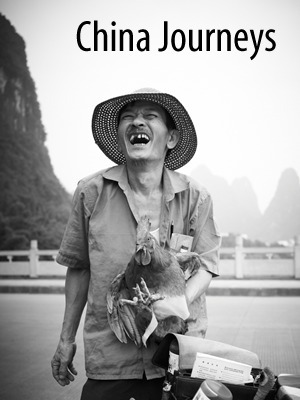 Every year I make a special trip to China with a group of photographers to share what I love about the country. Every year the journey is unique, never the same as before and never to be the same again. This year I borrowed a Leica M9-P as my camera companion for the trip, which was both challenging and enlightening. I discovered a whole new respect for professionals who choose the M format. All images here were taken on the Leica M9-P, mostly with the 28mm f/2 lens. "A legacy of fine craftsmanship now struggles to find a place in the digital world. Leica make lovely gear and the M9-P takes lovely photos, but the fact is that I take better photos with a more modern camera system that offers fast autofocus, affordable lenses and quality review of images on the rear screen. But, people who buy a Leica already know what they want from a camera, and they don't need me to tell them what is good or bad about the M series. It takes immense skill to shoot manual focus these days, and the Leica M9-P will reward that skill very nicely."